Korea’s summer is hot and humid. There are two kinds of known “summer dishes” in Korea. The first category are hot dishes. Korea has the concept of “이열치열 (以熱治熱)”, which means to relieve heat with heat. It is believed that these dishes help to replenish stamina, which is believed to loss through excessive sweating during the hot summer season. An example is Korean Ginseng Chicken or what we call Samgyetang (삼계탕) in Korean. Another kind of Summer Dishes are the ones that cools you down during the hot and humid season. We can’t possibly eat hot dishes every meal during the sweaty and humid summer. 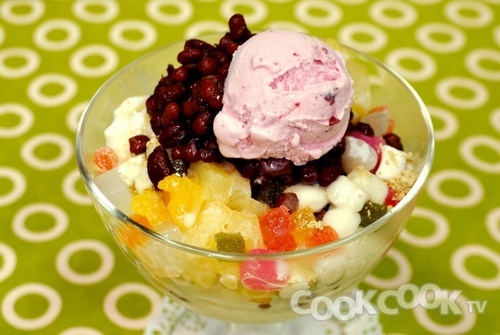 Examples are Naengmyeon (냉면) , Patbingsu (팥빙수) and more. Let’s take a look at these awesome summer cuisines that Koreans enjoy during summer season.